Chances are you've just seen a new CARQUEST auto parts store in your neighborhood. CARQUEST is the nation's fastest growing chain of auto parts stores, with nearly 60 distribution centers across the country and over 4,000 retail outlets serving North America. CARQUEST is a vertically integrated supplier of auto parts and auto body refinishing products. The company offers name brand products as well as over 30 different CARQUEST branded product lines covering virtually every part need for any repair or maintenance job to repair shops as well as the home hobbyist. CARQUEST attributes its growth to two primary strategies: a comprehensive training program for its authorized shop mechanics and aggressive pricing. In order to maintain low prices, CARQUEST needed to control costs by increasing productivity in their distribution system. Auto Parts Wholesale operates the west coast division of CARQUEST. The hub of their west coast operations is an all-new distribution center located in Bakersfield CA. The DC supplies parts and supplies to six satellite distribution centers and to 400 retail stores in three states and Mexico. To remain competitive, CARQUEST stocks the industry's most extensive selection of hard-to-find parts -- and the SKUs continue to grow. The company now maintains over 200,000 SKUs in inventory at the distribution center, while each store maintains about 18,000 SKUs. The satellite DCs maintain about 100,000 SKUs. Special orders are fulfilled from the DC and delivered by 8AM the next day to stores from the Oregon border to Mexico. The concept of a new DC had been in the works for six years. Jim McMurtrey, VP & General Manager of Auto Parts Wholesale, conducted extensive research and visited facilities throughout the country. "The challenge was to create a solution which best fit our unique distribution channel and truck routing." The new 145,000 sf DC consolidated two previous major distribution centers that covered a total of 180,000 sf. By consolidating, facilities costs are greatly reduced and it's much better for us to replace two $6 million dollar inventories with a single facility of $8 million -- particularly when we can give our customers better service", explained McMurtrey. The facility is able to stock more goods in 30% less floor area. Inventory is organized into three major areas of the warehouse: standard goods, bulk goods, and hazardous materials. Products are positioned in each area based on the turnover volume; high volume products are stored nearest to the shipping area to minimize travel. Open-case orders are picked by placing the product in a tote. Each tote has a unique license plate and will travel round-trip to the store or satellite distribution center and back to the main DC. 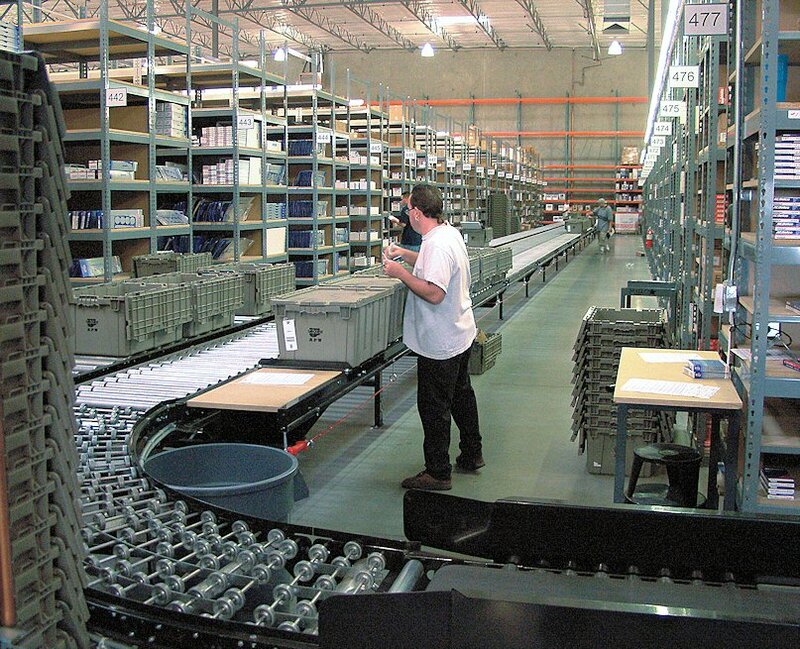 Each storage aisle is equipped with a powered conveyor in the center and a gravity conveyor along each side. 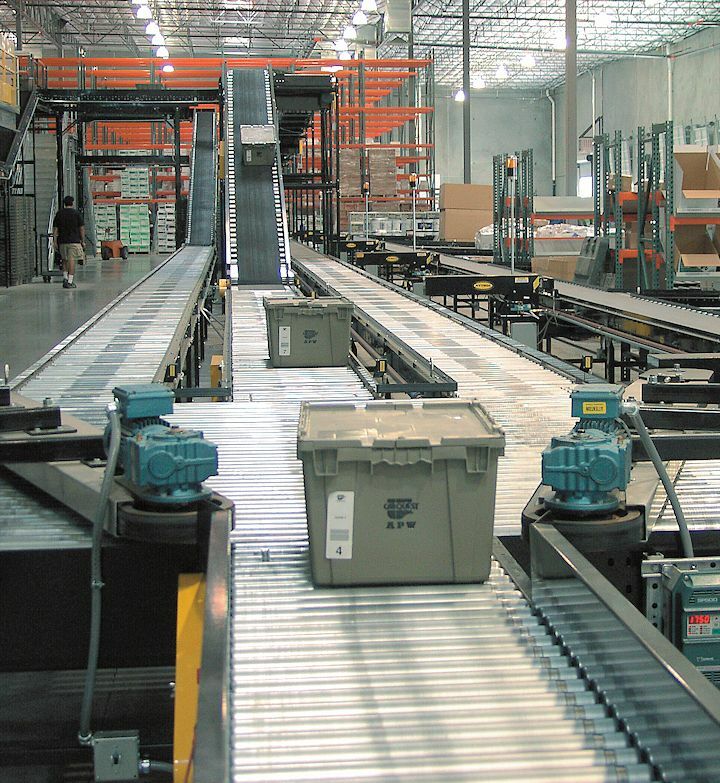 When the order is complete, the order picker slides the tote from the gravity conveyor to the powered conveyor. High turnover open-case product is stored in carton flow rack to facilitate both stocking and picking. Order fulfillment is conducted in waves, with up to 20 destinations per wave. 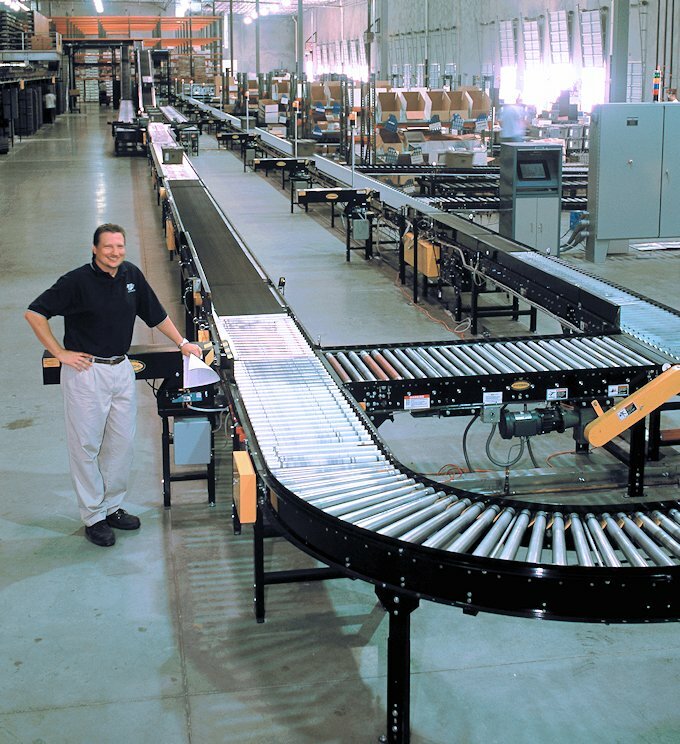 The conveyor system reads the tote identifier and delivers the tote to the corresponding shipping lane. Totes are presented to the packer in the correct orientation. Orders are then consolidated by the packer into full totes and loaded into a container pallet. CARQUEST is in the process of fully implementing a paperless fulfillment system. Orders are currently generated by an enterprise system with the Warehouse Management System (WMS) integrated with point-of-sale from individual stores. Current picking and shipping operations will be upgraded from paper to RF scanners. The upgrade will be implemented in the 2nd quarter of 2002 and will complete the paperless system. Fulfillment of all special orders and standard stocking requests will be directed by RF displays and automatically confirmed at shipping. "When the new fulfillment system includes the picking and shipping operations, they will achieve instant confirmation and improved accuracy," according to Chuck Ireland, FloStor VP of Systems Sales. "The RF reader will display the exact location of the part for more efficient picking." The conveyor system will transport full cases as well as totes once the RF scanners are adopted. The DC is currently fulfilling orders at an average rate of 8,000 totes per day. Capacity of the system is 12,000 totes/cartons per day. 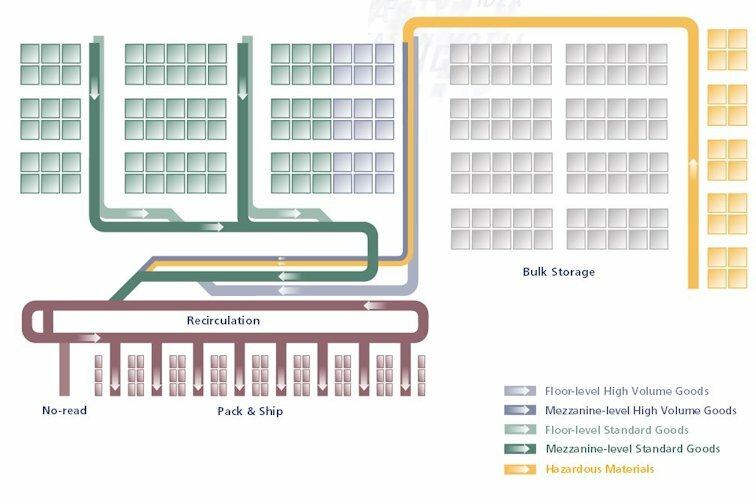 System efficiencies are achieved by balancing the functions of picking, automated sortation, and packing in the original design. Capacity of the standard parts area will be increased by 65% during the 4th quarter of 2002 by expanding the existing mezzanine. This expansion will provide an additional 4 zones of pick area, as envisioned in the original concept. Modular conveyor components and plug-and-play networked control devices facilitate this planned expansion. "Our productivity is definitely up", says McMurtrey. "We were pulling approximately 300,000 lines out of two locations in a 13 hour shift. We now pull over 400,000 lines out of our new DC in a 10 hour shift. We are very proud of that." 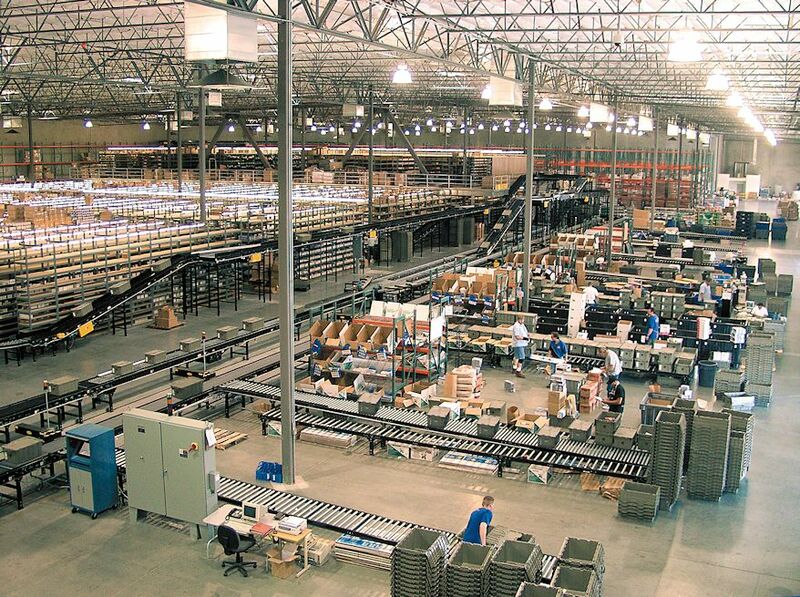 Further gains are expected once the paperless fulfillment system is fully operational. McMurtrey anticipates the life expectancy of the new DC at over 25 years. "When it reaches capacity, we will build another just like it on the same site." 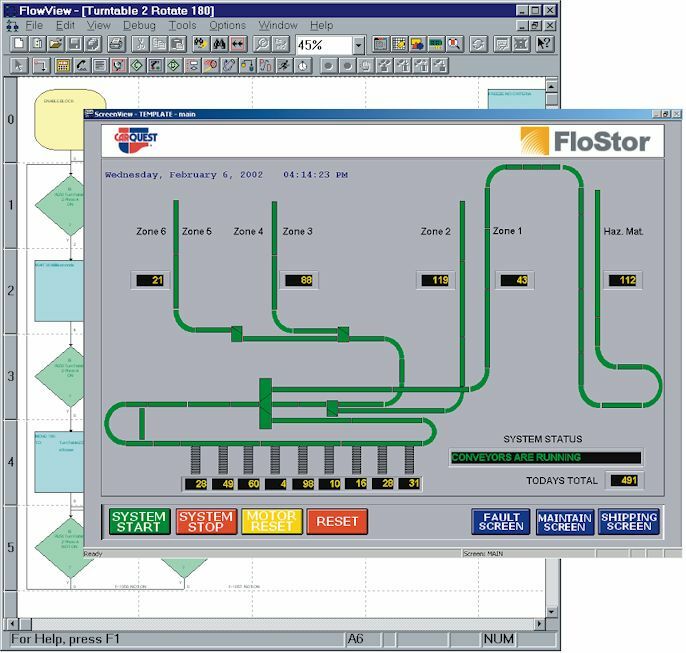 The CARQUEST system uses 128 different flowcharts for system automation as well as device network diagnostics. Integrated Human-Machine Interface (HMI) screens display system operations and allow the operator to re-configure the identification of each shipping lane. The HMI displays system throughput as well as jam and full load conditions. The conveyor system interfaces with the host Warehouse Management System to deliver product to the appropriate shipping lane. Our productivity is definitely up. We were pulling approximately 300,000 lines out of two locations in a 13 hour shift. We now pull over 400,000 lines out of our new DC in a 10 hour shift. We are very proud of that.